Day One digital sales set new record. While Activision might be celebrating a new record in Day One digital sales for the Call of Duty franchise, physical sales have dropped significantly. 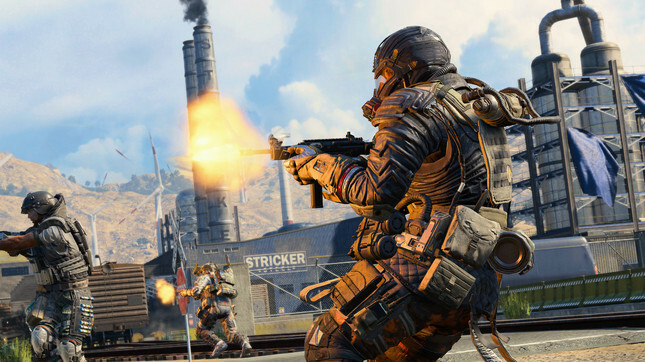 According to sales data from the UK chart – and analysis by Eurogamer – Call of Duty: Black Ops 4 has sold 50 percent fewer physical copies than last year's WW2. Meanwhile sales are also down 59 percent from Black Ops 3. Physical sales for Call of Duty have been on the decline for quite some time. Seeing an all-time high with Modern Warfare 3 in 2011, the only uptick was seen in with WW2's release. While the industry as a whole has seen an increase in digital over physical, Eurogamer notes that it hasn't been enough to make up the difference. Whether Black Ops 4 record-setting Day One sales on Blizzard's Battle.net platform indicates the turning of the tide remains to be seen. Gameplanet's Baz Macdonald had an absolute blast, scoring Black Ops 4 9/10, and describing it as "a smorgasbord of experiences which makes it feel like a package which will remain interesting, fun and exciting far beyond the release of the next annual COD instalment." Is your game collection digital or physical? Let us know in the comments below.